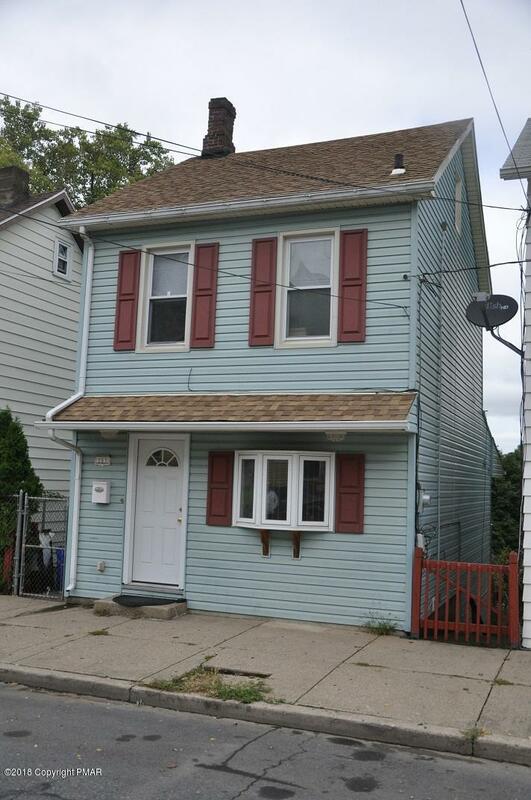 AFFORDABLE HOME IN SOUTH SIDE EASTON! Home features living room, kitchen, 1/2 bath on main floor, 2 bedrooms & full bath on 2nd level; 3rd floor is finished and adds extra space for 3rd bedroom! Lower level has utility room with laundry area and a family room/extra bedroom with door to ground level patio & fenced yard. Sliding doors from kitchen lead to covered deck for outside enjoyment! Winter view of river. Newer roof, too! © 2019 Pocono Mountains Association of REALTORS All rights reserved. Information deemed to be reliable but not guaranteed. The data relating to real estate for sale on this website comes in part from the Broker Reciprocity Program. Real estate listings held by brokerage firms other than The Karen Ecke Team - RE/MAX Results are marked with the BR logo and detailed information about them includes the name of the listing brokers. Listing broker has attempted to offer accurate data, but buyers are advised to confirm all items. Information last updated on 2019-04-23 12:27:51.